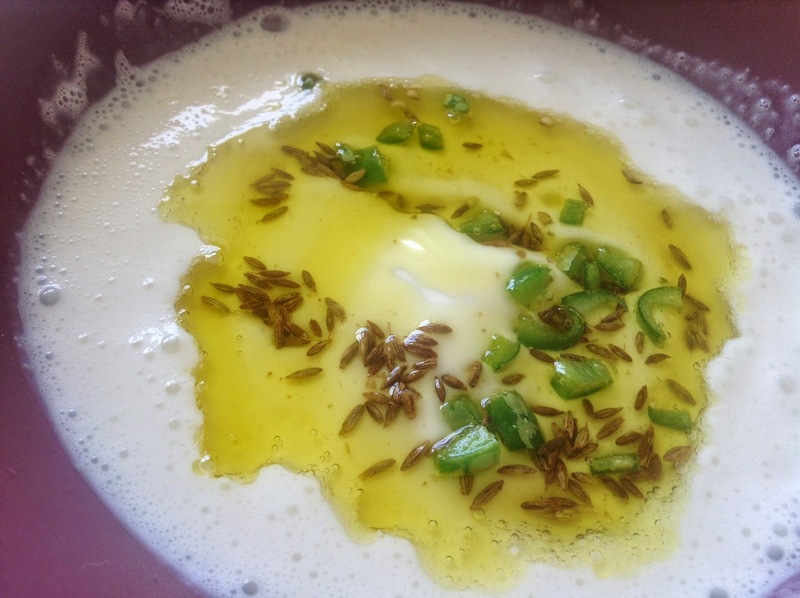 Dry roast the urad dal on medium flame till it changes colour to golden brown. Cool and grind to a fine paste. Mix the yoghurt with this powder and mix well. Heat oil in a pan and temper cumin, asafoetida and fry the green chillis for 15-20 seconds. Add to yoghurt and enjoy !